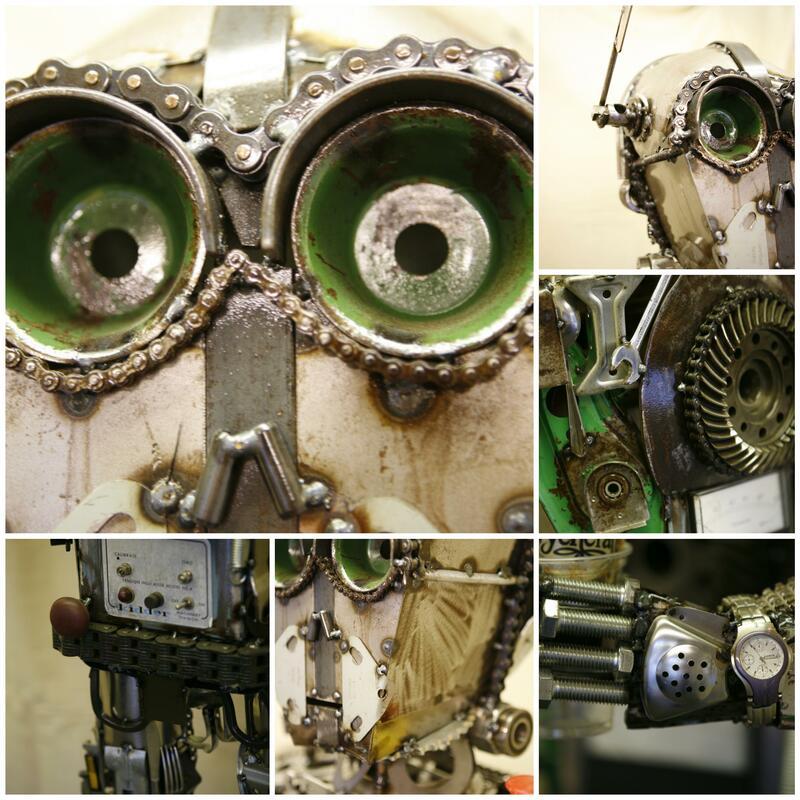 Rusty is the affectionate name for our resident recycled robot. Commissioned in 2012, and created from assorted metal items that were destined for the scrap heap, his components were rescued and cleaned and with a little imagination and a fair few welding rods, Rusty was "born". Standing at 5’ 6” tall with broad cog made shoulders every glance at him spots something different, maybe a teapot or a gardening fork, an assortment of spanners, or a pedal, a plug socket or a lucky horse shoe. Rusty can usually be found in pride of place, ready to greet visitors at our head office reception, however many of you may have already met him at our exhibition show stands where he always attracts far more attention than the personnel staffing the stands! Rusty also has his own Facebook and Google+ profiles, as well as sometimes popping up on the company Twitter and LinkedIn feeds to wish you a happy New Year or pass on the greetings of the season. Feel free to follow or pop in for a visit to see what you can spot!